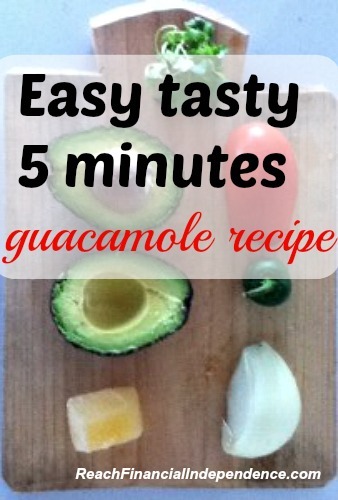 I know a few of you around here are guacamole fans, so I would like to share my super easy guacamole recipe today. Avocados are delicious in Guatemala, so guacamole is a big part of our diet. Lately, I have used this 5 minutes recipe, the only thing you need on top of the ingredients is a blender or a food processor. Put everything but the avocado on the blender, and pour it on a bowl together with the avocado. Crush the avocado flesh and that’s it! Serve with nachos, chips or salty crackers. I also like it on toasted bread. And the guacamole will look like that. It takes more time, and the taste is quite similar. The Norwegian Girl recently posted..I Battle Fibromyalgia, What`s Your Superpower? yes it is, but I have had it too, so I can’t judge haha! I’m not a big guac fan, but I recently tried my friend’s homemade guac and it wasn’t half bad. I may have to steal this recipe for our housewarming party in a couple days. Thanks for sharing! I don’t like ready made guac, it barely has any avocado, homemade is so much better. It is a great dip to share, just provide a spoon, once I had just put the crackers and people had a hard time putting the guac on it… lots of fingers in the dish.. I hate cilantro, so I’ll try and guac recipe that doesn’t have it – this one included! Thanks for making me hungry Pauline. 😉 My wife has made guacamole homemade a number of times and we like ours with a nice little kick, but not too spicy. I’ll have to pass on this recipe to her as we’re always looking for new ones. Here’s another quick one, One Haas avocado, a teaspoon of olive oil and adobo seasoning (I use about 1/4 teasoon) and about a teaspoon of lime juice. I also use a fork to mash the avocado (I like little chunks of avocado in mine) instead of a blender. Bacon bits are optional but add a nice touch! Hmmm…coriander…good call! 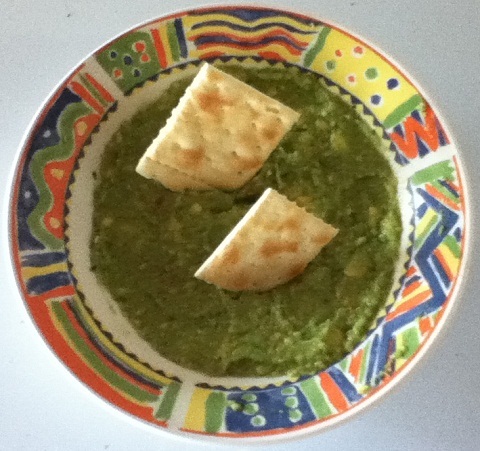 Always looking for good guac recipes…thank you, Pauline! I like guacamole in an shape or form. I also just enjoy the avocado. They are delicious, especially fried! Fried?? I’m a avocado fanatic, gotta try it! Oh yes, it is fantastic. I just tried them for the first time last year and have been hooked ever since. Debt Roundup recently posted..Enjoying Easter – Within Your Limits! wow, will definitely have to try that! in Argentina they have avocados with sugar, like a fruit. I prefer them salty. I personally don’t care for guac, but my wife loves it. I’ll be sure to pass this recipe to her since she is always on the look out for ones that don’t have cilantro. Mmmm. Guacamole is so delicious! I just had a salad the other day that was almost half avocado and it was amazing. I bet this version has a lot of flavour, from all of the ingredients. For years I made Guacamole everyday for the restaurant that I work at. I’m allergic to avocados though so can’t taste it myself. 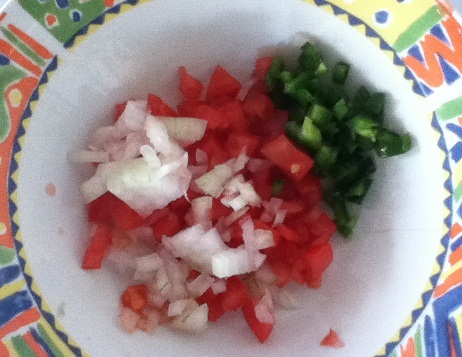 Your recipe is similar to the one I used to make, except we used lime instead of lemon and didn’t add tomatoes. I don’t know why people use knives to get the pits out of avocados. It’s much easier, though maybe messier, to pop it out with your thumb. The only time this doesn’t work is if the avocado isn’t ripe. That’s how I do mine too but I don’t add tomatoes. That’s usually a separate thing with more cilantro and lemon juice. Now I just eat avocados, lightly salted with a spoon.. gosh I love those things. mochimac recently posted..How expensive can you look when you’re at work? I don’t care much for guacamole, but my husband and daughter like it. We also serve it when we have guests quite often, so a five minute recipe is a bonus. Kim@Eyesonthedollar recently posted..Should You Transfer Debt to a Low Interest Credit Card? I saw the title and figured that I would skip this one because I just developed an avocado recipe after loving them for 10 or so years. (Yes, just shoot me.) But, I said, Pauline will have pictures, and I can dream. I just rubbed my computer screen with wistful longing and teared up. Thank you for that. do you mean an allergy? that is really unfortunate! I can’t imagine what it is like to be unable to eat something you love, so sorry about that. I won’t die if I eat it, so if I will keep this recipe around in case I want puffy lips and sores in my mouth. Or…I could watch CJ eat it and dream! 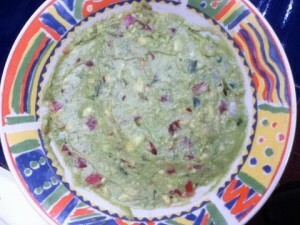 I love guacamole – I use Alton Brown’s recipe, but I’ll switch the cumin with coriander next time! Canadianbudgetbinder recently posted..Let Your Coupons Expire And Save Money! Love guac and love avocados. One of my favorite ways to eat them is, cut in half-pit removed- then fill the indentation with cheese. I heat the avocado in the microwave or oven for a minute until the cheese is melted then sprinkle with cumin and salt. Yum! KK @ Student Debt Survivor recently posted..I’m Not Cheap, You’re Broke! This is very similar to our recipe. We love guac and eat it regularly – it’s delicious, and SO good for you! Thanks for sharing, Pauline!